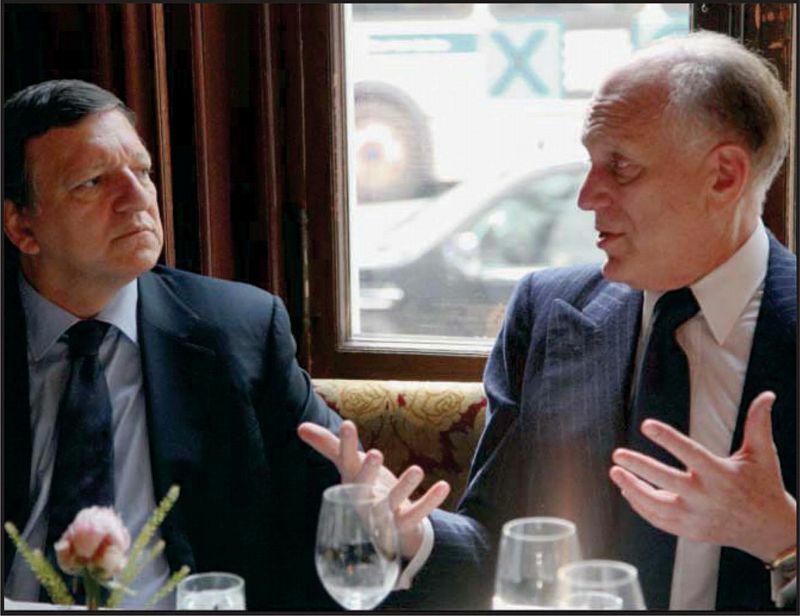 Ronald Lauder, President of World Jewish Congress (right), with the President of the European Union, Jose Manuel Barroso, of Portugal. Developing the next generation of young Jewish professionals engaged in public diplomacy. NEW YORK – The Jewish Diplomatic Corps (JDCorps), an international network of Jewish professionals engaged in public diplomacy, will be reintegrated into the structure of the World Jewish Congress (WJC) and see its global budget and staff boosted. The corps’ precursor was set up in 2006 under the auspices of Peleg Reshef of the WJC. Today, the network comprises 130 young Jewish lay leaders from 30 countries world-wide. “This is a major investment into the future of Jewish organizational leadership. The Jewish Diplomats, or JDs, as they are called, are successful professionals in their late twenties or thirties who identify with Jewish and Israel-related issues. They will continue to play an important role in addressing the issues affecting the Jewish people in the future. The entire WJC family welcomes the fact that the JDs will from now on be a key part of the WJC’s organization. They have proven over the past years that they are capable of influencing important policy decisions, including at the United Nations, and we look forward to complementing the WJC’s activities with these talents,” said WJC President Ronald Lauder. The JDCorps will become a key part of the WJC’s new ‘Young Leadership’ bouquet of programs which includes the Jewish Professionals’ Network, the Global Campus Initiative and the Young Leadership Training Academy and it will be overseen from WJC headquarters in New York. The World Jewish Congress (WJC) is the international organization representing Jewish communities in 100 countries to governments, parliaments and international organizations. The WJC was founded in Geneva in 1936 as the diplomatic arm of the Jewish people. The Jewish Diplomatic Corps (JDCorps) was established as an independent organization in 2009 by Co-Founders Adam H. Koffler and Peleg Reshef after being initiated in February 2006 by the WJC. It has since served as a world-wide, non-partisan network of diplomatic innovators advancing Jewish interests in international affairs and has actively engaged young lay leaders on issues vital to the Jewish people.